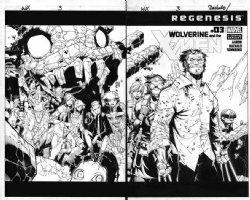 BACHALO, CHRIS - Covers, Marvel DC etc. BACHALO, CHRIS - Amazing Spiderman #556 cover, "Brand New Day"
BACHALO, CHRIS - Generation X #9 cover; only Chamber can stop it! 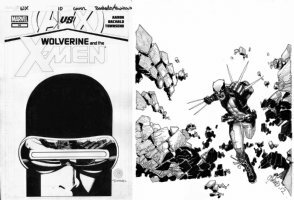 BACHALO, CHRIS / TOWNESEND - Uncanny X-Men #17 cover, X-Men team "Middle of Nowhere"